The institute was entrenched with an aim to catering academic education through theoretical and practical learning to outsource qualified and capable engineering to the global market. The institute develops design engineers and business professionals according to industry needs. The teaching and learning at this institute has endeavored to create global competence center. 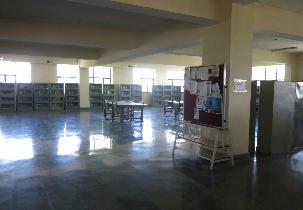 The institute is setup with a serene view campus creating learning environment to the students. The institute holds excellent placement record by placing their students in to notch companies globally in various top positions. The institute encourages the students in research and innovation programs under the guidance of experienced and knowledgeable faculties. The institute organized various co-curricular activities through events such as technical quizzes, group discussion, project exhibition, technical competition, etc. Laboratories, Library, Computer Centre, Training & Placement, Sports etc. GD, Workshops, Project exhibition, Technical Competition etc. CISCO, Citrix, DELL, Genpact etc. The college placement cell has links with various national and international companies and provides good job opportunities for the students. Workshops, seminars, conferences, guest lectures, mock interviews, pre placement talks and skill development programs are conducted in order to make the students industry ready. The college offers various specializations in order to help the students pursue education in their field of interest. B.Tech is a Bachelor’s degree which is nearly 4 years which contains all the subjects which is designed as per the present industrial requirement. The students are provided with technology driven education and encourage research activities for the development of the society. The candidates have to fill the forms for CET (Common Entrance Test) through online mode from the official website of the college. The fee for the application form INR 1000 have to be paid through net banking/debit card or through demand draft. Once the CET result is declared the college conducts counselling and the fee to be paid is INR 1000. Candidates must have 10+2 years of education from recognized board with 55% marks with English as one of the subject. Candidates who have 3 year Diploma in any branch with 60% minimum aggregate can obtain admissions as lateral entry. The college provides good placement opportunities for the students by providing training for skill and personality development. 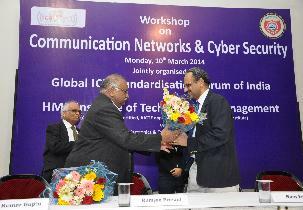 Companies like NIIT, Infosys Technologies, Mphasis, Aricent Group, CTS SMC, Indian Army, Libsys etc. hire the meritorious students. The highest salary package offered to the students is nearly about INR 15 LPA and the average is INR 10 LPA. what about the scholarship benifits? Yes, the scholarship provided by government to those students which comes under SC category and poor students. Write Your Reviews on "HMR Institute of Technology and Management"
Are you Interested inHMR Institute of Technology and Management"? Please provide the following details. Ask Question on "HMR Institute of Technology and Management"?